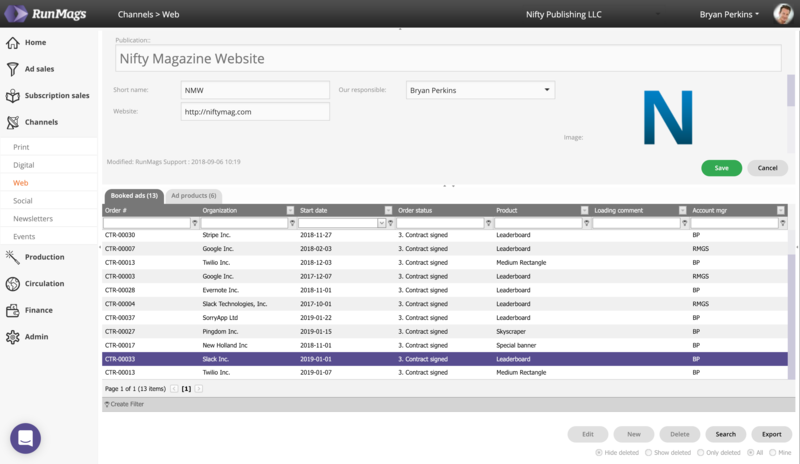 Set up and manage website magazines. 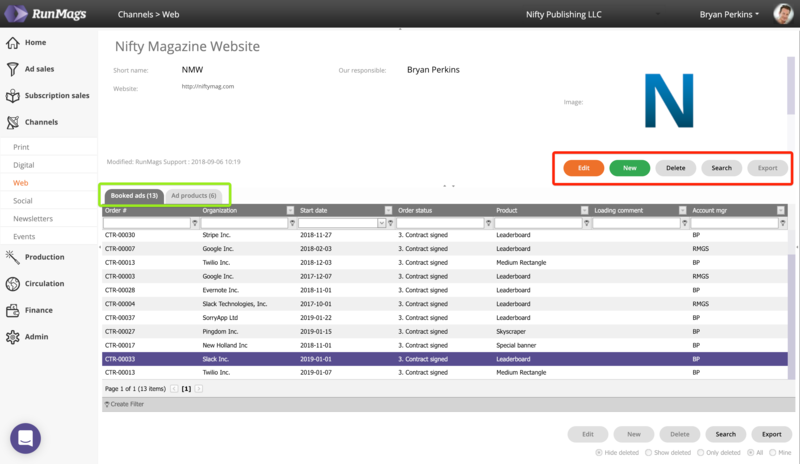 A user with Production rights can access the digital magazines in the navigation column under Channels >>> Web. In the top half of the window you can access buttons (red box) for editing, deleting, searching and creating new website channels. In the lower half of the window you can find information related to the specific website channel selected. The related information is presented under the various tabs (green box). 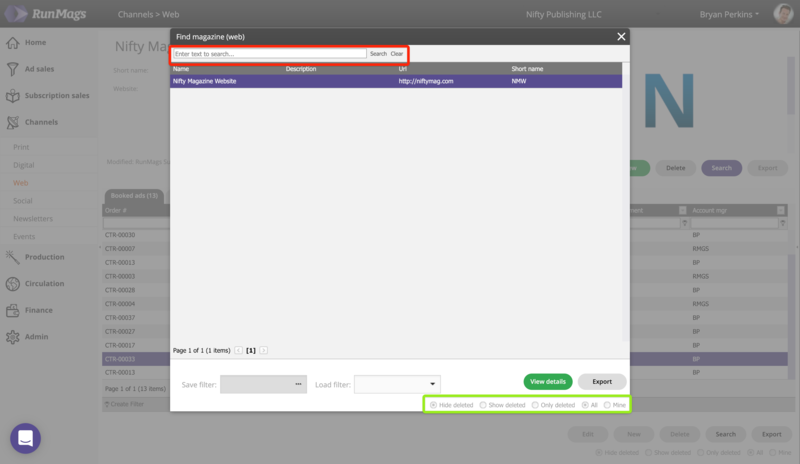 To bring up the search form and navigate among your website magazines, click the grey Search button in the upper half of the window. The search form will automatically display all the website channels you have created. In the example above there's only one channel, but in case you have many channels you can use the filters (red box) to find the channel you want to work with. 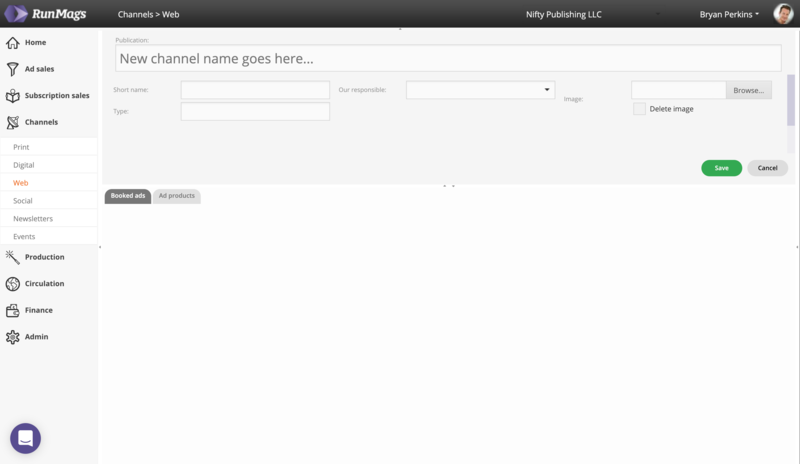 Typically you would type the first letters of the channel in the Name field. You can also use the radio button filters (green box) on the bottom right to find deleted channels. To create a new digital channel, click the green New button button in the upper half of the window.